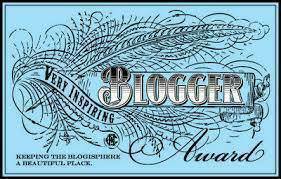 Recently children’s book author Lauri Fortino gave Sub It Club the Very Inspiring Blogger Award! We couldn’t be more pleased because inspiring all of you writers and illustrators out there to submit your very best work the very best you can is what we love to do. Sub It Club is international. We are thrilled to have members from around the world who illustrate and/or write in a wide range of genres. We love love love supporting writers and illustrators, agents and editors. You are our people! The membership in our Sub It Club support group ranges from those who are just learning to submit their work to those who are agented, published, and quite experienced with submissions. We are so happy to have people supporting each other throughout the submission process. Our members make the group a great place to be! It is our sincerest hope that writers and illustrators work to create their best work possible and submit it well. We want all Sub It Club members to become pros at making their submissions shine! Sub It Club receives a large number of requests via our various social media and through email every day. We love getting all of your emails and notes! We do wish we would get more emails from people wanting to share submission stories, query letters, and the like. There just isn’t enough time in the day to chase everything down! As for your Partners in Submission, Heather has never met Dana or Lisha in real life. Dana and Lisha did get to meet at an SCBWI-LA conference once and Heather was very jealous! Heather lives on a mountaintop in Washington State, Dana lives in France, and Lisha lives in Kansas so it is a little tough to get together. Dee Romito‘s I Write for Apples blog is one to watch. Her Query. Sign. Submit. series is always informative. And a success story is always inspiring! Kidlit411! They do such an excellent job gathering all resources for children’s book writers and illustrators in one place. Anyone writing or illustrating for children is sure to be inspired. Mara Rae‘s post about dream agents is spot on inspiring for all of you out there on the search for an agent! She posts about writing and other things on her blog, Scribble Babble. Guiseppe Castellano’s #Arttips blog is new, but he is a wealth of information for illustrators. A must follow! As a picture book author I love following his blog too. I learn a lot! Agent Blogs that Inspire Submitting Your Work Well! Agent Natalie Lakosil blogs at Adventures in Agentland. She gives writers great insights into submissions like in her post Breaking Down 2014 submissions which breaks down the submissions she got for the year in detail. Agent Carly Watters posts a ton of information “On queries, submissions, clients, conferences and the publishing industry” on her personal blog that submitters are sure to find helpful. Janet Reid‘s blog of course. Read it. Learn stuff. And keep a look out for the Chum Bucket. Manuscript Wish List curated by agent Jessica Sinsheimer and KK Hendin. It’s a blog where you can browse listings from agents (and some editors too) telling specifically what they are hoping to find in their inbox. Why wouldn’t you want to read it? All the agents at The Bent Agency post on their blog where you can learn so much. They have a recent wish list up that those of you searching for an agent will want to be sure to check out. Jennifer Laughran gives agenty advice on her blog, Jennifer Represents. Her Word Count Dracula post, for one, is a great reference for children’s book writers–Picture Book to Young Adult. Book Ends Literary Agency posts loads of information for writers. Just check out their must-read posts in the sidebar! Query letters, submissions 101, rolling with the punches–inspiring indeed. Agent Rachelle Gardner of Books & Such Literary Management will inspire you to feel good about yourself as a writer from talking about things you might have to give up to pursue your dreams to being an introvert. She also share information to help you on your journey to publication sharing information like things you may not know about agents. The Writer Beware blog will inspire you to do your research before submitting. Slush Pile Hell–it might not sound inspiring but if you read through some posts you will certainly be inspired to not make the mistakes some of these queriers made. The Longest Strange Submission Story Ever! Sub It Club does an awesome job of helping, supporting, and inspiring writers and illustrators! Thanks for all you do and for the great links you posted here. Honored to be listed among so many people who inspire me! Thank you! I just love that post you did about dream agents Mara! Uh, yeah. I know that. I assume that photo of the bird is for me. Why yes, I do need more coffee. Thank you. whoa. whoa there, mountain lady. and congratulations on your shiny dream that has become sub it club. Congratulations to you, and SUB IT CLUB, Heather! And thank you so much for including KidLit411!!! We really appreciate it!!! Yay! Glad you’ve been recognized, Sub It Club! Lauri knows what she is talking about…you all provide such great resources and info and inspiration to keep us writers (and illustrators) going! Congratulations, SUB IT CLUB and Heather. Your blog is truly a great resource for writers. And thank you so much for including my blog. I am honored.